Along with going to EDM concerts and festivals, going to the gym is one of my favorite things to do. It is both a physical and mental aspect for me, and I honestly do not function correctly if I do not make it in there. 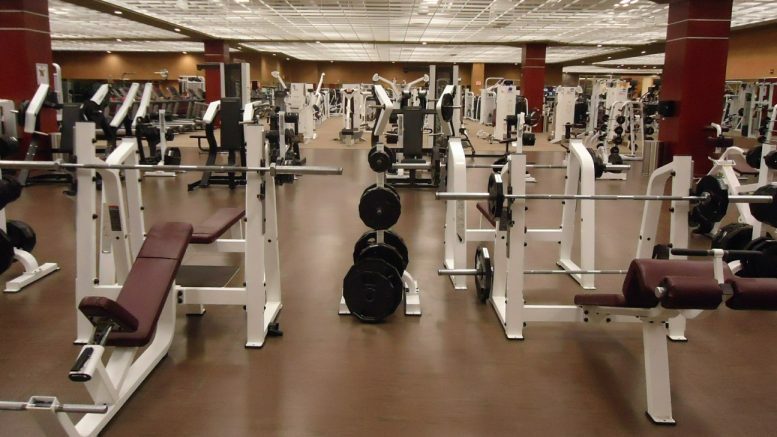 However, each time I step foot inside the gym at school I know I am in for a treat in terms of the exercises I see some people do, as well as some of the people themselves. I am not always sure where they learned these movements from, but it can be quite entertaining to watch, and at the same time painful. Here is a list of three exercises that are basically a waste of your time, and you are doing yourself more harm than good by performing them. You know, the one where you are standing up and holding one DB at your side, and then you laterally bend your torso to the same side you are holding the dumbbell in then come back up; yeah stop doing those. When you think you are really working your obliques, more specifically your external obliques, you are actually firing up a low back muscle called your Quadratus Lumborum “QL” which is your primary lateral flexor of your spine. The muscle fiber arrangement of your external obliques don’t even run in an up and down pattern on the side of your torso; they run more in a diagonal pattern, which means that their main action is rotation(contralateral- to the opposite side). So, if you want to work on your “love handles”, which are actually your external obliques, then I would stop doing these side bends because: All you are primarily working is a low back muscle which often gets tight and overactive, you are just thickening that “love handle” area, you are not training the obliques in their proper function, and if you do want to lose the love handles; lose some body fat through proper nutrition intake, cardio, and weight training. These are ones that I mostly see guys just do in the gym, but it basically tells me that they do not bother to train their grip strength by doing exercises like deadlifts, RDL’s, pull-ups/chin-ups, farmers walks, etc. These by far will train your forearms more than doing some wrist curls with a barbell, or trying to role up a little weight attached to a rope with your arms straight out in front of you. Start using the hands that you were born with and start gripping heavy weights, as well as doing pulling exercises like pull-ups and chin-ups; not only will your build up your forearms and grip strength, but so many other muscle groups will be targeted as well which means: More calories burned, greater overall strength gains, and muscle hypertrophy or growth of muscle tissue. Planks are a highly used exercise to build core strength, but are often abused in terms of the duration they last per set. Without a doubt planks are a phenomenal core exercise, however, the planks where you just see how long you can hold that position should really be thought over. It is honestly easy to hold your body in that position for an extended period of time, but how about you hold the position for a shorter duration of time but make it more challenging on yourself by: Using arm movement like reaching out to your side with one arm then bringing it back to neutral then alternating and doing the other side, using leg movement by reaching one leg out to the side or up or towards your elbow then doing the same for the opposite side, putting weight on your back, and even squeezing everything as hard as you can for 10 seconds then resting then repeating- so on and so forth. This will limit the amount of time you have to spend doing core work, as well as increase your core strength because of the stability aspect you are bringing into it. Hope these tips can be useful for all of you. If I do see you doing these exercises in the weightroom, well I will take it that you just did not read this article.